Developed on Filemaker Pro (latest version), a multi-award database programing language with performance comparable to Oracle. Agent Metrics and Metrics Analyzer to quantify anything you want. 60 One Click Groups and Unlimited Groups for one-click searchings. 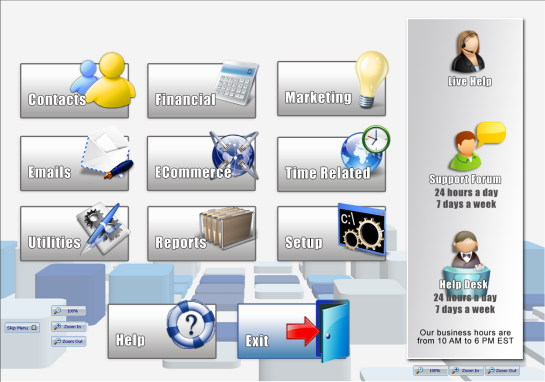 Integrated Personalized and Bulk E-mail System (send and receive).